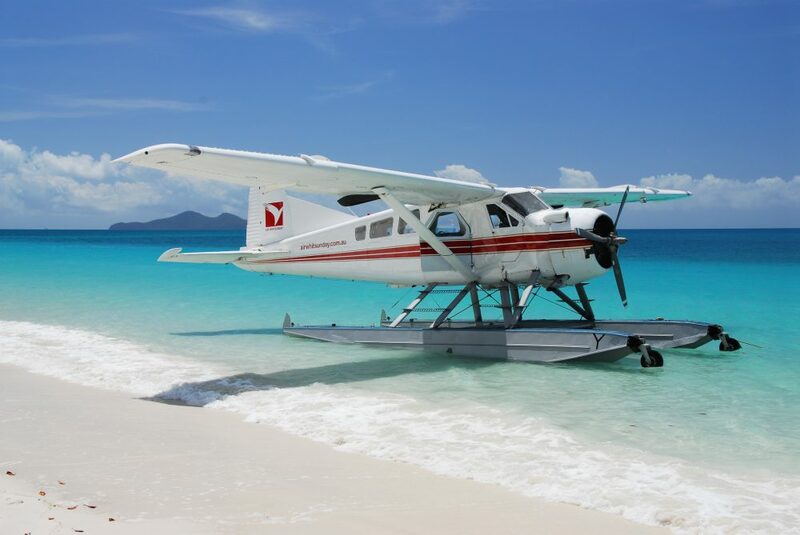 The Whitehaven Beach Seaplane Experience will perform aerial work over the amazing swirling sands of Hill Inlet and the expansive stretch of world-famous Whitehaven Beach for that perfect postcard photograph. 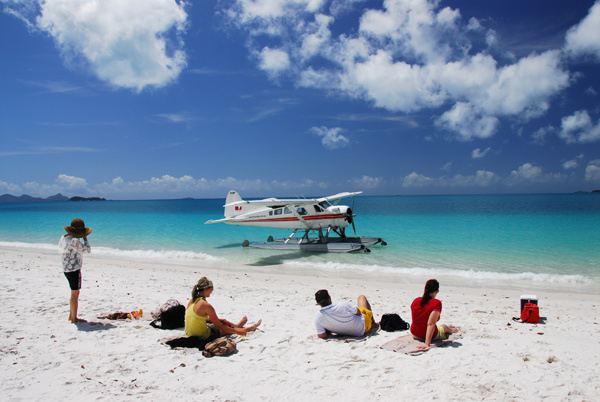 Land gracefully at an area of the beach with few or no other visitors where you are free to relax, sunbathe, swim and explore this remarkable pure silica beach. Absolute luxury! 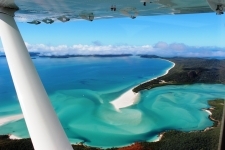 Scenic flight over Shute Harbour, Molle Group of Islands, Whitsunday Passage, Whitsunday Island, the magnificent swirling sands of Hill Inlet and the pure silica sands of Whitehaven Beach. 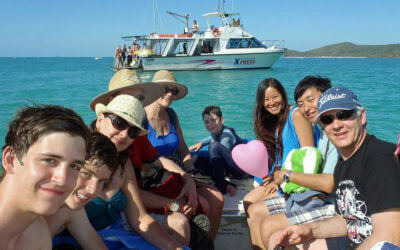 If you want to find out all there is to know about Whitehaven Beach see our comprehensive guide here. *Subject to weather conditions. 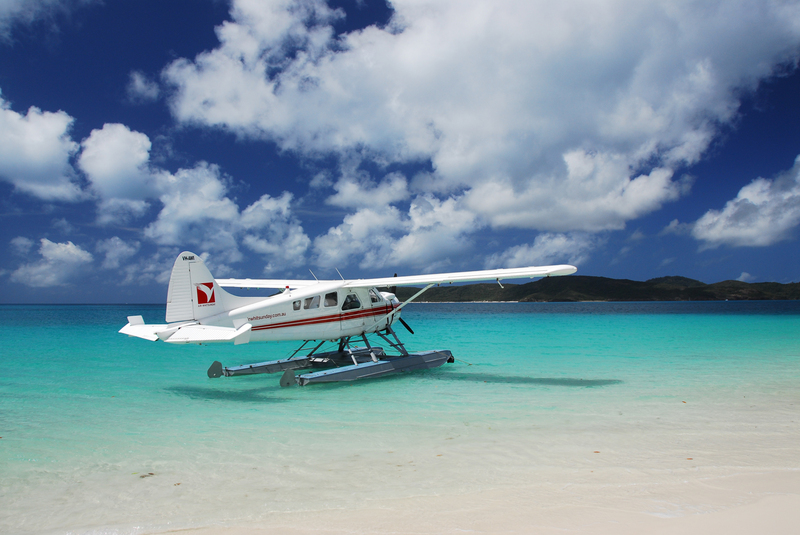 In the event of unfavourable wind conditions, the seaplane will visit Chance Bay. 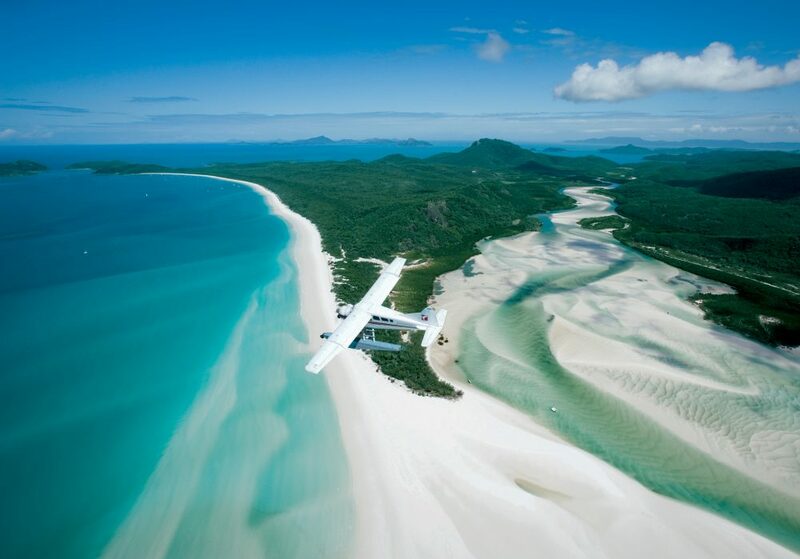 This is a secluded beach on the Southern end of Whitsunday Island that provides protection from unfavourable winds. 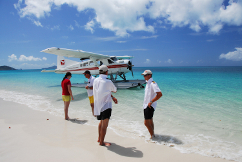 Please make your own way to the Whitsunday Airport where you will be welcomed by the friendly Air Whitsunday crew. 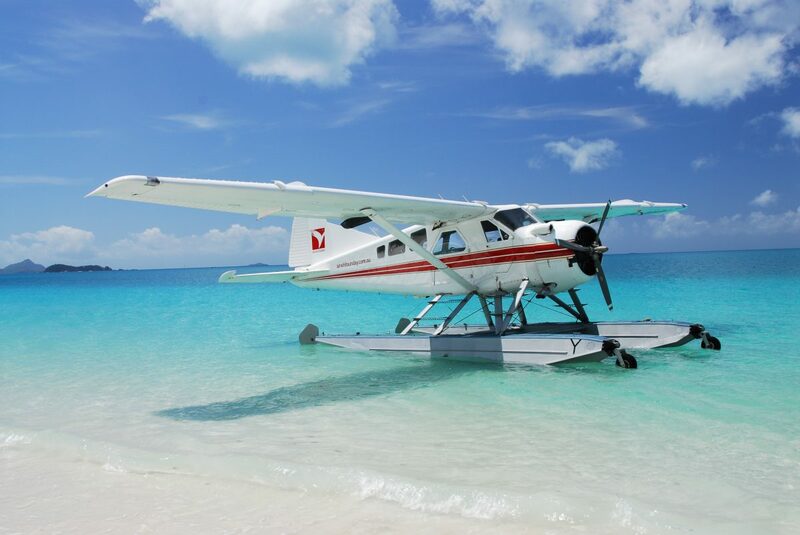 During your check-in, you will view a safety briefing video prior to leaving the terminal aboard your seaplane. 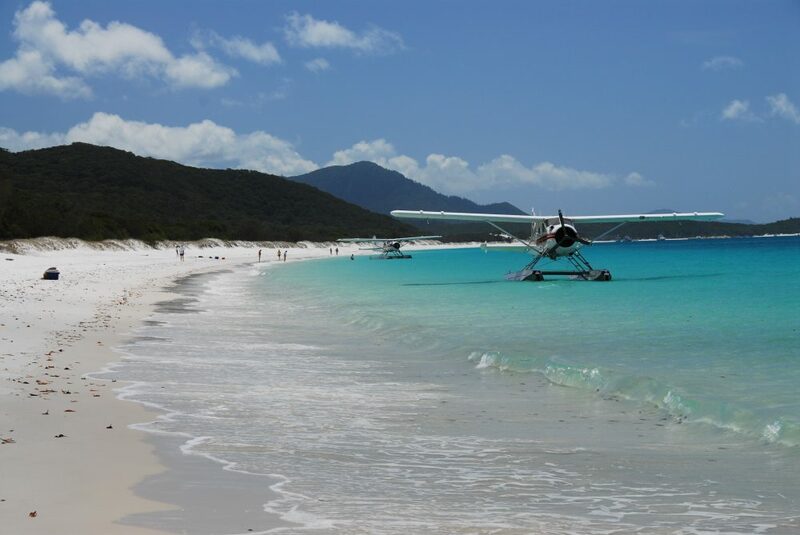 Your seaplane will take off from the Whitsunday Airport runway and begin your scenic flight over the Whitsunday Islands group en route to the famous Whitehaven Beach. 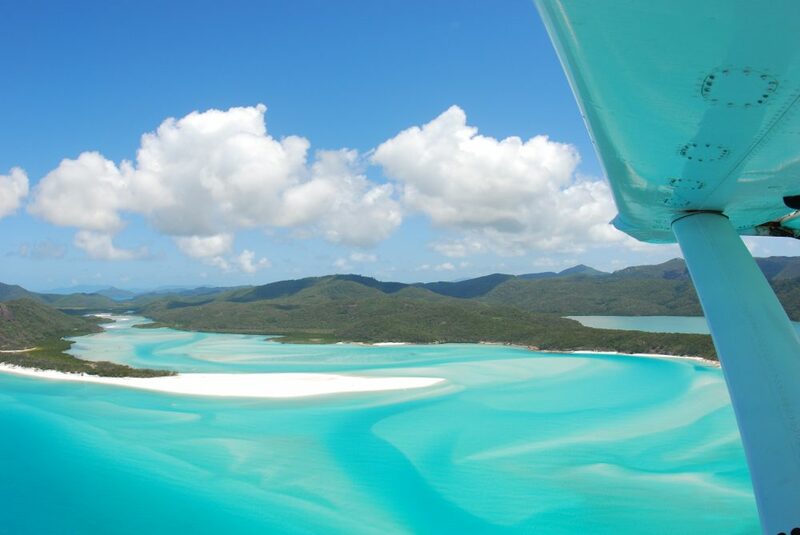 Fly over the northern end of Whitehaven Beach, Whitsunday Island and view the amazing swirling sands of Hill Inlet. 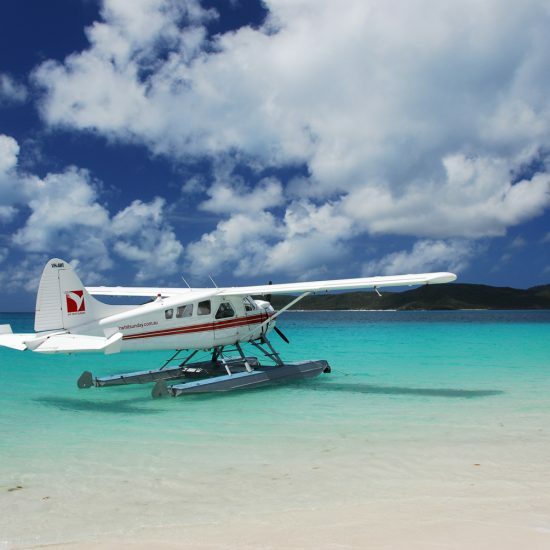 Your seaplane will then fly parallel to the 7 kilometre stretch of white silica sand for your Whitehaven Beach landing. 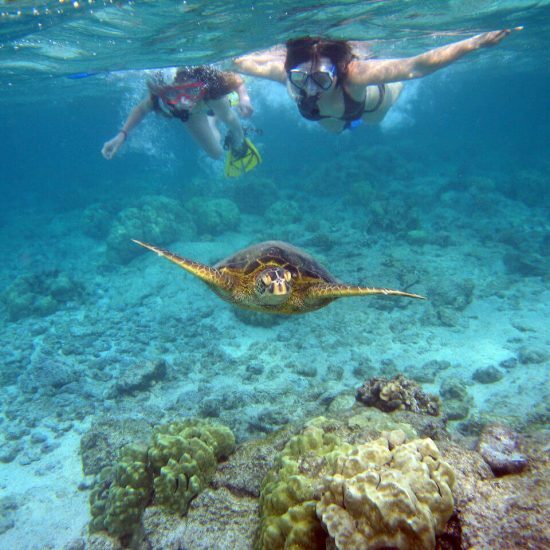 Prop up one of the beach umbrellas and enjoy a relaxing 2 hours at one of the top 10 beaches in the world! 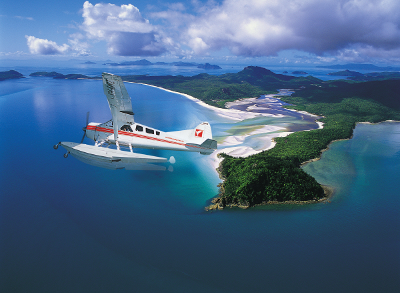 Time to wave goodbye at the Whitsunday Islands on your journey back to the mainland where you tour ends at the Whitsunday Airport. Exact time of departure or arrival is not guaranteed. 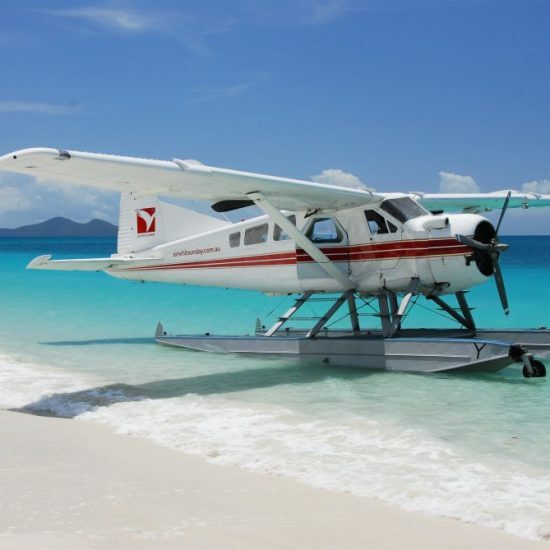 Air Whitsunday Seaplanes Pty Ltd may alter tour departure times, closer to the departure date to suit tides, weather and other aircraft movements, the carrier accepts no responsibility for disruptions to personal holiday plans. Body weight restrictions apply upon booking. 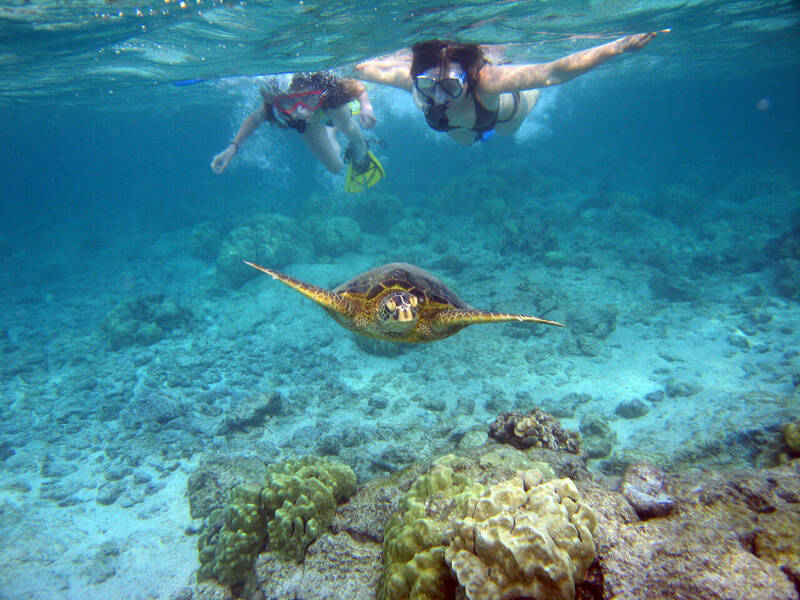 All reservations cancelled within 24 hours of departure will result in a 100% cancellation fee that will be charged to the supplied credit card. Refunds and cancellation fees will be made and charged by the carrier in its absolute discretion. 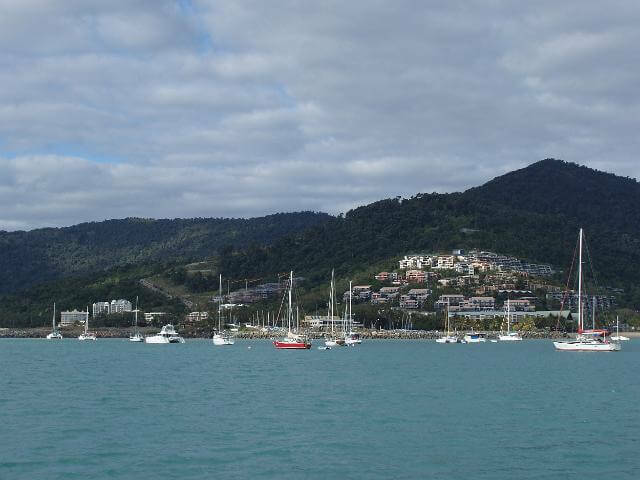 Reconfirmation is required the day prior to travel by telephoning Air Whitsunday Administration on (07) 4946 9111 between the hours of 0700hrs & 1930hrs. 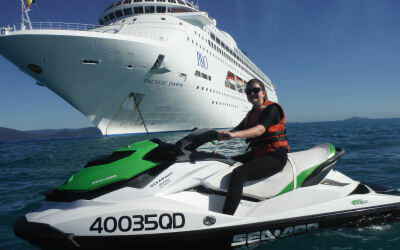 The carrier will not be held liable for missed flights, boats, tenders or any other tours booked on the same day as a result of passengers not reconfirming all flight details the day prior. Each passenger must be ready at the departure point at least 30 minutes prior to scheduled flight times otherwise the carrier may forfeit the passengers seat allocation and reallocate the same and the carrier shall be under no liability whatsoever to the passengers in respect of such forfeiture and reallocation. 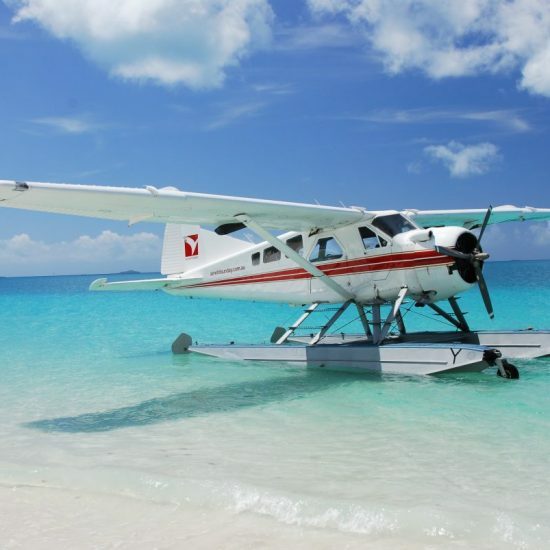 The carrier reserves the right to decide the suitability or otherwise of meteorological and other conditions for the normal performance of the flight and to modify the time and place of departure or landing and the route and accepts no responsibility for making connections. 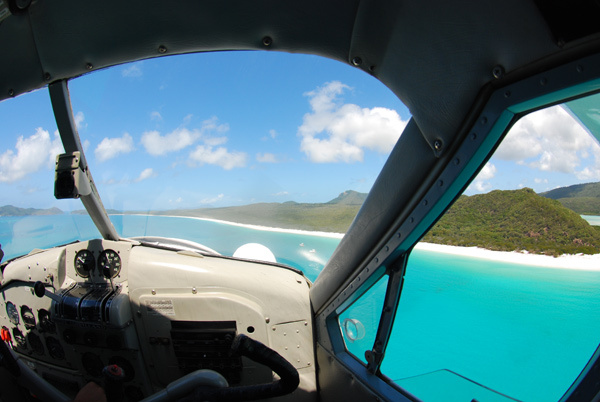 The chief pilot makes a weather decision at the most accurate time of the day of flight, if the conditions are deemed unsafe and unsuitable for flying then all flights will be cancelled – at no charge by Air Whitsunday Seaplanes. The carrier does not guarantee you any seat. All seats are allocated by the pilot on the day of flight, due to weight and balance. Your ticket is valid only for the date, service and passengers specified hereon. We recommend you take out travel insurance covering illness, injury, loss of personal goods and the inability to travel due to weather. The carrier reserves the right without notice to cancel any flight or to substitute any aircraft for that originally scheduled or to transfer the passenger without notice to any other aircraft or flight and all the conditions of this ticket shall remain applicable to such substituted carriage. The liability of the Carrier under this Contract is subject in all respects to the provisions of the Civil Aviation (Carriers’ Liability) Amendments Act 1982 and in particular in respect of death or injury is limited to the sum of $180,000 and in respect of baggage is limited to the sum of $1600 including a maximum of $160 in respect of baggage other than registered baggage. The passenger shall not take into the aircraft or include in his or her baggage or goods any explosives, volatile spirits, corrosives, matches (other than safety matches), any easily ignitable article or any offensive thing likely to cause inconvenience to passengers or anything likely to endanger aircraft passengers or goods. In circumstances beyond the control of the carrier including without limitation strikes, industrial disputes, inclement weather or loading restrictions resulting there from where the carrier can not commence or complete this contract for carriage by air, the carrier shall have no liability whatsoever other than refund of the fare paid of the passenger less the value of any flown mileage. Where circumstances beyond the control of the carrier limit the number of booked passengers the carrier may in its absolute discretion decide if the passenger may be carried on the flight, whether the passenger has commenced his journey or not. The passenger shall comply with the instructions of the carriers, servants or agents concerning all matters connected with or consequential to the air service and shall comply with the conditions of this ticket and the terms of any notice exhibited in the aircraft and shall be responsible for any loss or damage occasioned by non-observance of any instructions, conditions or notice. The passenger shall not enter or remain in the aircraft while his or her status or mental or physical condition is in the opinion of any servant or agent objectionable to other passengers or involve hazard to him/herself. Other persons or property and the carrier shall not be bound to provide substituted carriage under Clause 18 hereof for such a person precluded by reasons this clause from completing his or her journey. The passenger shall remain seated during all phases of flight. The passenger shall not smoke in or in the vicinity of the aircraft or semi-sub vessels, throw anything from the aircraft or walk in front of the aircraft or in the vicinity of the engines when entering or leaving the aircraft. The passenger shall not, while on board the aircraft, consume any intoxicating beverage unless it is supplied to him or her by the servants of the carrier. The carrier may arrange with any person or corporation to undertake the carriage hereby contracted for any part thereof or any service auxiliary thereto including the transportation of the passenger, his baggage and goods to and from any aerodrome or taking off or landing place and any such person or corporation and his servants, agents or employees shall be entitled to the benefits of these conditions to the same extent as the carrier. 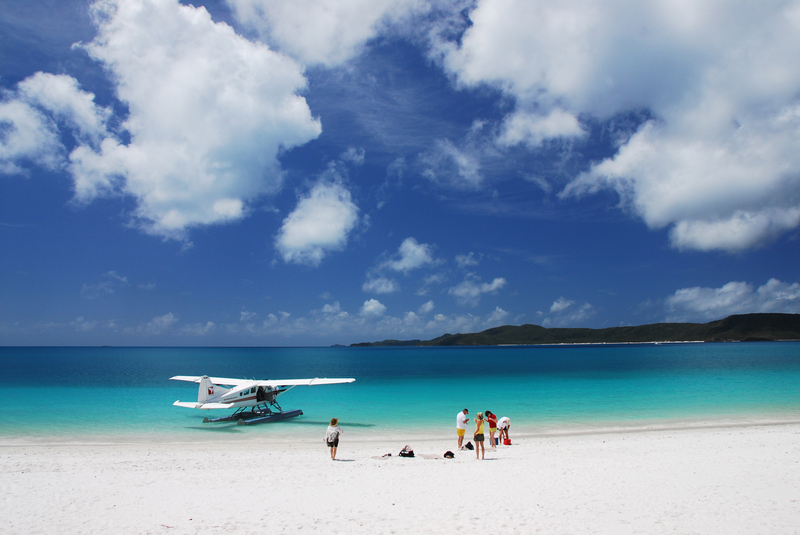 Any ticket issued by Air Whitsunday for carriage over the lines of another air carrier or tourist operator is issued only as agent. The Carriers name may be abbreviated in the ticket. At the time of reservation credit card details need to be supplied to confirm seats. Payment is not taken until the day of flight. 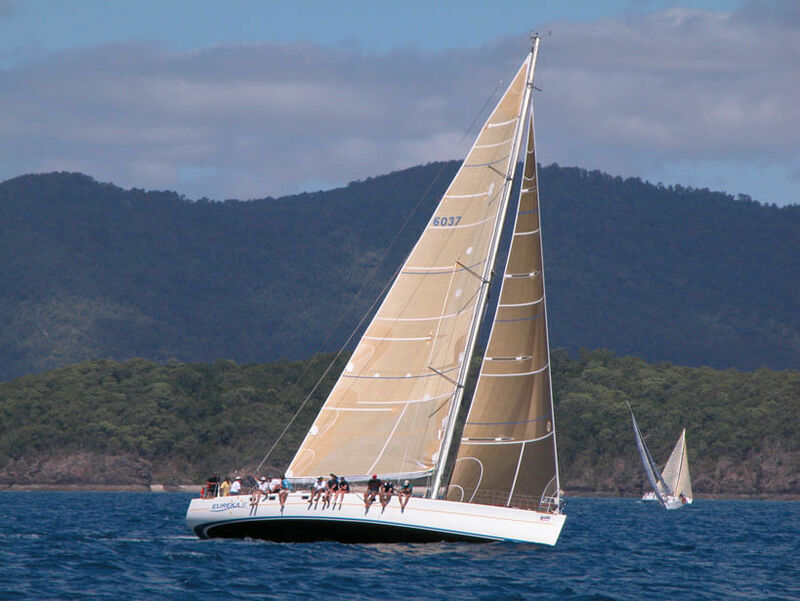 In these conditions the expression “the carrier” means Air Whitsunday, its servants and agents and any other air carriers that carry or undertake to carry the passenger to whom this ticket is issued or who is carried by virtue of the issue thereof. Word importing the singular or plural number of the masculine or feminine gender shall, where the context permits, include the plural or singular number of the feminine or masculine gender as the case may be. 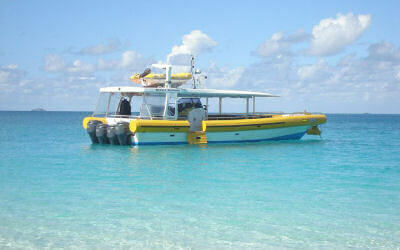 Carriage to be performed hereunder by several successive carriers is regarded as a single operation.